How do I get to the other side?!! You are on the other side! Ralph Waldo ~ Emerson It didn’t cross the road, it transcended it. Oops! Don’t look if you’re hungry! 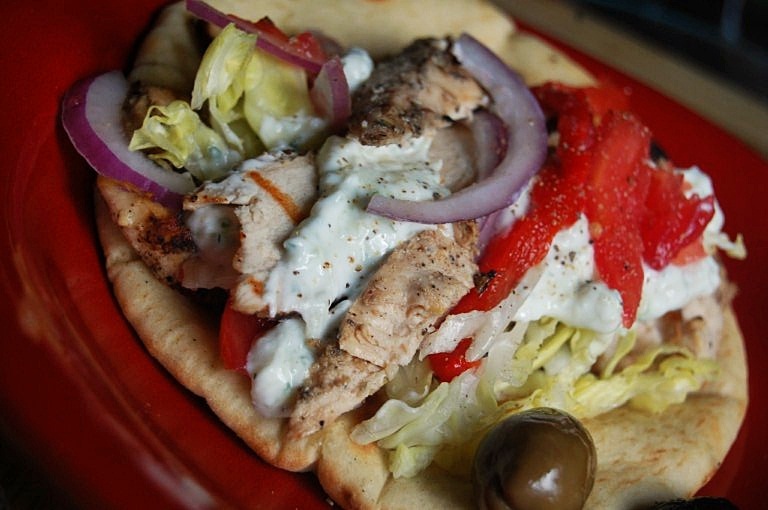 I forgot the fantastic Grilled Chicken Gyros that we made the other night, simply seasoned, marinated, grilled and sliced thin chicken breasts. Gardening days require quick meals and a picture of juicy drippy gyros passed through my mind as I was planting the Greek oregano, but Mikey doesn’t like lamb, let’s just say he doesn’t suspect the lamb that he unknowingly eats in two of his favorite dishes, but I’m afraid that he would notice lamb in a gyro, so I went with Greek marinated chicken breasts. Tzatziki sauce: thoroughly blend, grate ½ of an English cucumber, squeezed to remove excess water, 1 cup plain yogurt, 2 small cloves pressed garlic, 1-2 teaspoons lemon juice salt and pepper to taste. Refrigerate for 2 hours to overnight. 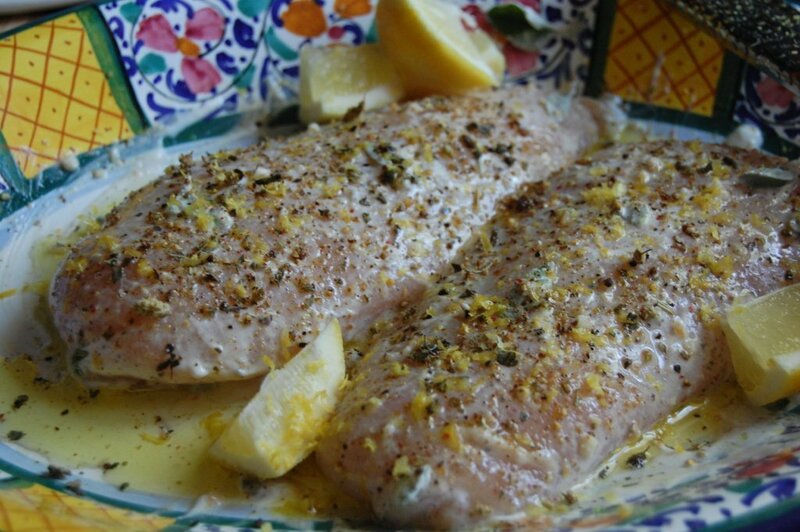 Sprinkle the chicken breast with Mediterranean seasoning, drizzle with olive oil, lemon juice, zest, torn oregano leaves, add yogurt and turn the chicken several times to coat, add a little more seasoning, cover marinated chicken breast and refrigerate at least 2 hours. Grill chicken, allow to rest 10 minutes before slicing very thin. Assemble gyros, layer meat on pita, sauce, onion, tomato, Feta. Serve with olives and pepperoncini. Posted on April 19, 2012 April 19, 2012 by ibbeachnanaPosted in PoultryTagged Greek.